From A is for Aardvark—“We’re not allowed to tell you anything about Winston cigarettes, so here’s a stuffed aardvark”—to Z is for Zippo, the iconic American lighter, The Cigarette Book is the ultimate souvenir and celebration of the dying art of smoking. Encyclopedic in both layout and range, this is an ideal consolation gift for those who have stopped, an ideal aide de memoire for those who might, and a defiant puff of libertarian brilliance for those who won’t. 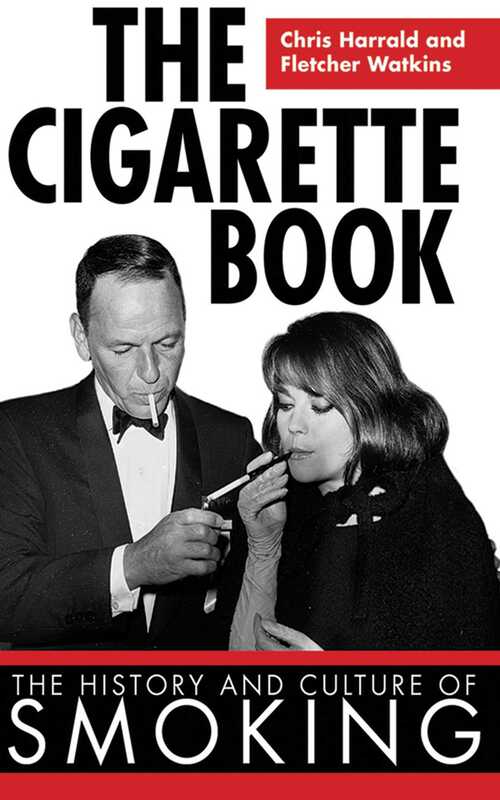 Celebrate the Hollywood age of smoking when film stars lit up with glamorous abandon. Witty, illustrated, collectible, and up-to-date. "… All smokers know that cigarettes are dangerous. Each one is a dance with death—and the defiant smoker will say that therein lies its charm. So each puff is an existential gesture, an assertion of choice and life in the face of death." One day the last cigarette on earth will be smoked. One final puff will be sent heaven-bound, leaving a lingering, evanescent smoke ring. And the wise of this world will rejoice. Because logic demands that mankind is rid of this pernicious poison. And wasn’t that well-known logician Adolf Hitler the most virulent opponent of cigarette smoking in the last century? Until then, read this book.